Sometimes to win big, you have to risk it all. Margrett Childs has set out to the untamed wilds of Arizona on a mission to enhance the lives of frontierswomen. The home she buys for that purpose is a dream, but when her dream comes crashing down around her, she's forced to put her trust in a handsome stranger with an unsavory past. Nathan Baker lost everything to the poker table. Now he's content to live like a shadow in his home. Or at least he was, until that Boston Suffragette came to town. Something about the foolish woman has ignited feelings he thought were long dead. 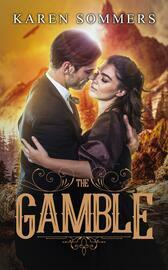 When she comes to him for help, he finds himself caught between the past and dealing in for one more round.